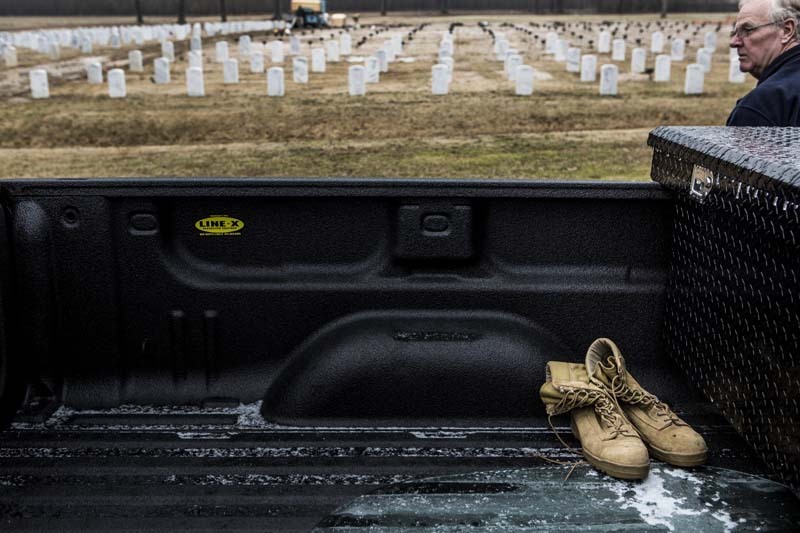 February 03, 2014 - Ron Oliver, Paul Oliver's father, brought an old pair of Paul Oliver's combat boots to the State Veterans Cemetery on Forest Hill Irene Road in early February. "He had a hard time letting things go from his time at war," Ron said about his son who served in the Marines and completed three tours of duty, two in Iraq and one in Afghanistan. Paul Oliver suffered from a traumatic brain injury and he constantly struggled with his post traumatic stress disorder from the time he served in the middle east. Paul died of an accidental overdose alone in his house in Memphis on December 6, 2013.